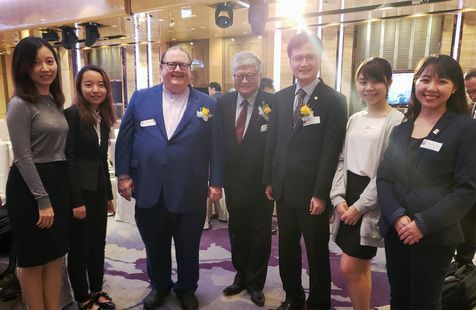 Last week on November 6, HFTP representatives visited with members of the allied Hotel Controllers and Accountants Association of Hong Kong (HCAA AGM). The occasion was for the group's 27th anniversary dinner held at the Royal Plaza Hotel in Hong Kong. In attendance from HFTP were Frank Wolfe, CAE, HFTP CEO; Timothy Nauss, CHAE, HFTP Global Immediate Past President and Evita Ma, director at the HFTP Asia Research Center. Also in attendance were members of the HFTP Hong Kong Poly-U Student Chapter.See the photos in the gallery from the event. 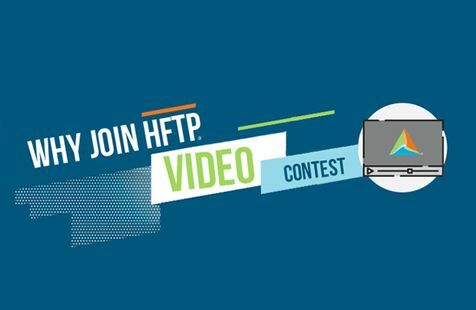 The "Why Join HFTP" video contest is designed to give HFTP members the chance to explain why they are passionate about HFTP. Team up with three to five HFTP members and create a 30-120 second video explaining why you are passionate about HFTP. The winning team will receive $1,000 USD. Video entries will be accepted through December 1, 2018.Contest Overview: Who Can Participate?The "Why Join HFTP" Video contest is open to all HFTP members. 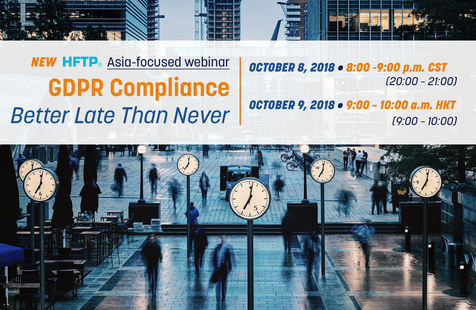 HFTP staff and HFTP Board of Directors or family members of HFTP Staff and HFTP Board of Directors are not eligible to participate in the Contest.Date of ContestVideo entries will be accepted starting on September 6, 2018 and ending December 1, 2018. All online entries must be received by December 1, 2018 to be eligible to win the Grand Prize.PurposeThe purpose of this competition is to highlight all the amazing things HFTP membership offers. 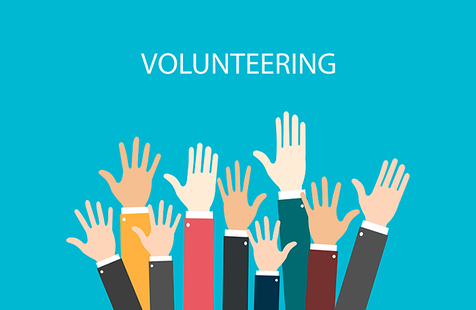 So "Why Join HFTP" can be any positive reason your team has for encouraging membership. Here are some examples, but keep in mind that there are so many ways to show why hospitality professionals should join HFTP.PrizeThe winning team's video will be selected by a committee of HFTP representatives. Winning team will receive $1,000.00 USD. How to Enter:Get with 3-5 HFTP members and create a team. Teams must be no smaller than 3 people, and no larger than 5 people.Choose a clever team name.Create a video with a theme of "Why To Join HFTP". For example, how has HFTP changed your career, things HFTP offers its members, etc.Video must be submitted to the submission form via link through a page of your choice (YouTube, Vimeo, etc. ).Video length must be between 30 and 120 seconds.Agree to contest Terms and Conditions (see below).Upload your video to the submission form here.Contest Terms and ConditionsFor full contest terms and conditions, click here. The entry must fulfill all contest requirements, as specified, to be eligible to win a prize. Attendees may enter only once. 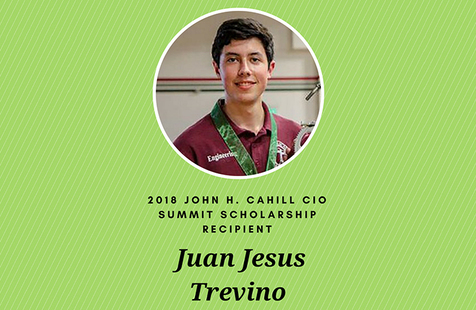 This contest is in no way sponsored, endorsed or administered by, or associated with, Twitter, Vimeo, YouTube, Instagram or Facebook.Questions?Please contact Millicent Gustafson at Millicent.Gustafson@hftp.org or Melissa Trevino at Melissa.Trevino@hftp.org. Congratulations to the 2018 HFTP Chapter of the Year winners. 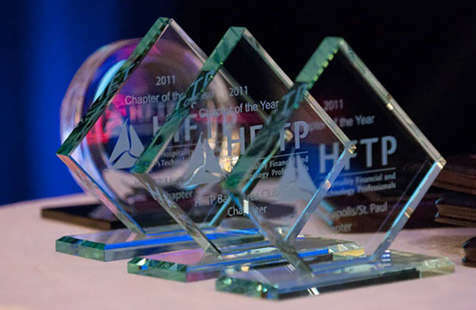 The HFTP Chapter of the Year Awards recognize chapters that further the goals of HFTP by providing quality educational and professional opportunities to their members, along with involvement in the local community. 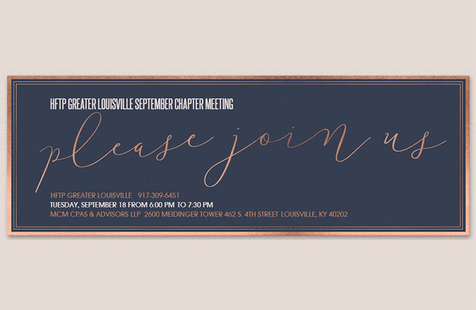 The following chapters will be honored at HFTP's 2018 Annual Convention in Louisville, Kentucky USA this month.2018 HFTP Chapters of the YearTier A (1-35) - HFTP Monterey ChapterTier B (36-70) - HFTP Florida Manasota ChapterTier C (71+) - HFTP Mid-Florida ChapterProceduresChapter of the Year CriteriaChapter of the Year Scorecard (Sample)About HFTPHospitality Financial and Technology Professionals (HFTP(r)), established in 1952, is a hospitality nonprofit association headquartered in Austin, Texas USA with offices in Hong Kong, United Kingdom, The Netherlands and Dubai. HFTP is recognized as the spokes group for the finance and technology segments of the hospitality industry with an international network of members and stakeholders. HFTP uniquely understands the industry's pressing issues, and assists its stakeholders in finding solutions to their challenges more efficiently than any organization. 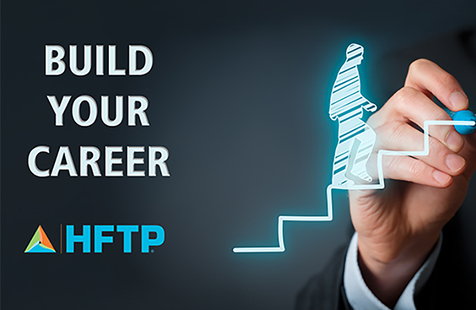 HFTP offers expert networks, educational resources, career development programs, research, leadership opportunities and conferences and events. 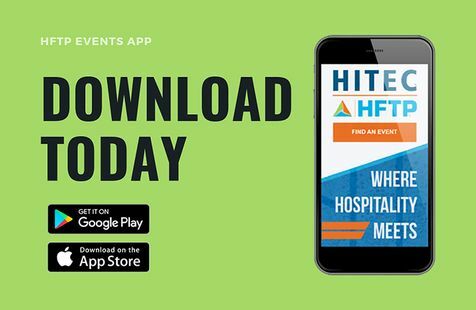 HFTP produces international events throughout the year, including the world's largest hospitality technology tradeshow and conference brand: HITEC. The association also owns the world's only hospitality-specific search engine: PineappleSearch.com(r). For more information about HFTP, visit www.hftp.org.For the latest news, visit the HFTP News page at news.hftp.org and the HFTP Connect blog at blog.hftp.org.Follow HFTP on social media Facebook (@HFTPGlobal); LinkedIn; Twitter (@HFTP); Instagram (@HFTP_HITEC). 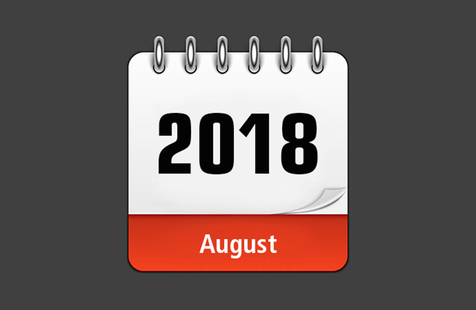 Stay tuned to HFTP's industry-specific, informational news sites: HFTP News, HITEC Bytes, HFTP Club Bytes, HFTP Finance Bytes, HFTP GDPR Bytes and HFTP FB Bytes. HFTP event photos are available on Flickr, and HFTP event videos are available on YouTube. 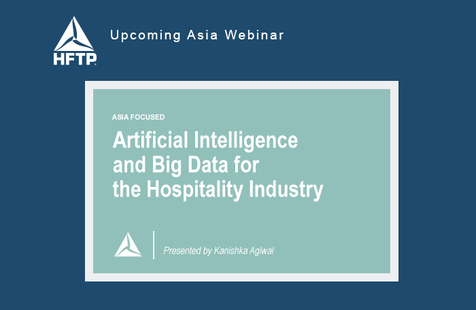 To ensure the safety of our members and stakeholders in Asia, HFTP is postponing the Asia-focused webinar, "Artificial Intelligence and Big Data for the Hospitality Industry," that was scheduled for September 19, 9:00 AM HKT/September 18, 8:00 PM CDT, due to the impact of Typhoon Mangkhut.This webinar will be rescheduled for a later date. 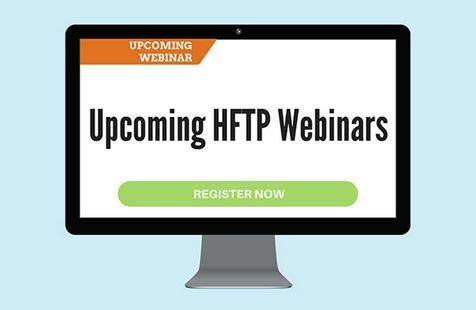 Please visit the website for details.Contact the HFTP Meetings and Event Department for more information or to submit your webinar topic idea: Angela Dowell (angela.dowell@hftp.org) by email or phone +1 (512) 220-6441 or Celina Mendieta by email (celina.mendieta@hftp.org) or phone+1 (512) 220-4024.Helpful Links:HFTP WebsiteUpcoming WebinarsWebinar ArchiveAbout HFTPHospitality Financial and Technology Professionals (HFTP(r)), established in 1952, is a hospitality nonprofit association headquartered in Austin, Texas USA with offices in Hong Kong, United Kingdom, The Netherlands and Dubai. 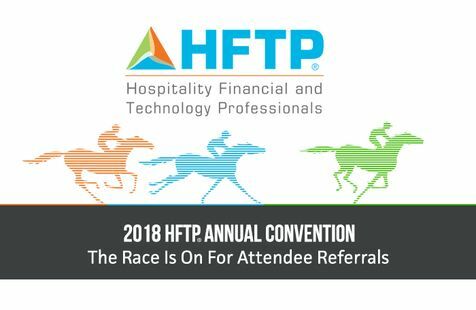 HFTP is recognized as the spokes group for the finance and technology segments of the hospitality industry with an international network of members and stakeholders. 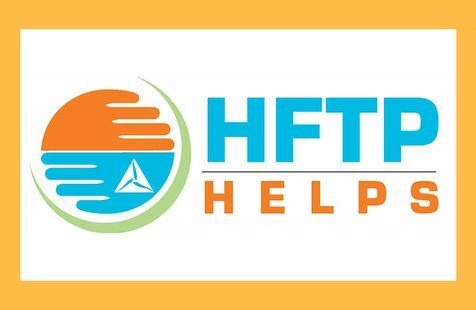 HFTP uniquely understands the industry's pressing issues, and assists its stakeholders in finding solutions to their challenges more efficiently than any organization. HFTP offers expert networks, educational resources, career development programs, research, leadership opportunities and conferences and events. HFTP produces international events throughout the year, including the world's largest hospitality technology tradeshow and conference brand: HITEC. The association also owns the world's only hospitality-specific search engine: PineappleSearch.com(r). For more information about HFTP, visit www.hftp.org.For the latest news, visit the HFTP News page at news.hftp.org and the HFTP Connect blog at blog.hftp.org.Follow HFTP on social media Facebook (@HFTPGlobal); LinkedIn; Twitter (@HFTP); Instagram (@HFTP_HITEC). Stay tuned to HFTP's industry-specific, informational news sites: HFTP News, HITEC Bytes, HFTP Club Bytes, HFTP Finance Bytes, HFTP GDPR Bytes and HFTP FB Bytes. HFTP event photos are available on Flickr, and HFTP event videos are available on YouTube. Join HFTP and other area hospitality professionals at the upcoming member interest event later this month in Frankfurt, Germany. 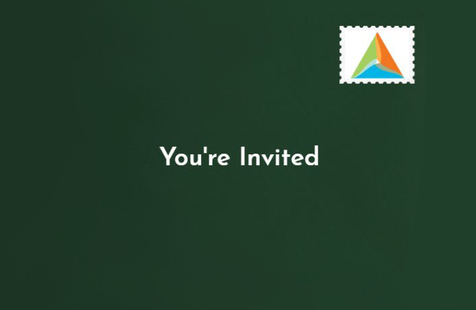 The get-together will offer what HFTP does best: networking with an educational presentation. 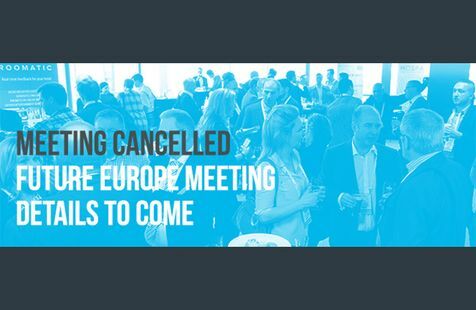 Also, if you have a colleague who would be interested in attending, please ask them to join the event as well.Details:Thursday 27 September 2018 | Frankfurt, Germany Location: Holiday Inn Express Frankfurt Airport Arrivals and networking starts at 17:00Presentation and Information starts at 17:30Agenda:Welcome and Introductions: Timo Kettern, Director IT, EVENT European Services GmbH, ein Unternehmender EVENT Hotels | Carl Weldon, Chief Operating Officer, HFTP EuropePresentation on GDPR: Dr. Michael Toedt, Founder & CEO, dailypoint tm - Software by ToedtRSVP Today!Thank you to Infor for sponsoring this event. Are you interested in receiving a complimentary registration to HFTP Annual Convention next month? Do you have writing skills? 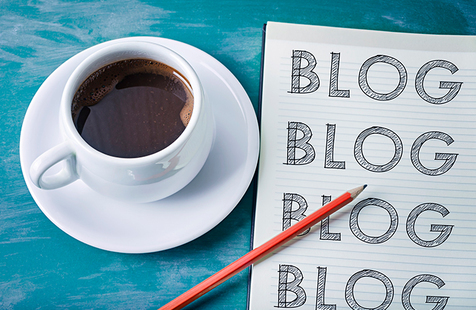 Apply to be an official guest blogger for HFTP Annual Convention today! 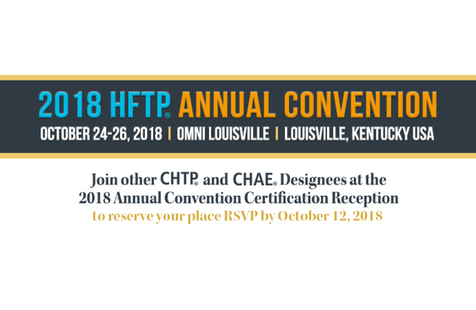 Email briana.gilmore@hftp.org for more details.HFTP Annual Convention 2018 will take place from October 24-26, 2018 at the new Omni Louisville Hotel in Louisville, Kentucky USA. Click here to learn more. The following individuals passed the exam for the Certified Hospitality Accountant Executive (CHAE(r)). Click here to learn more about HFTP's certification programs.New DesigneesKerry Anne Brown, CHAE * Controller * Tequesta Country Club * USACharles Doria, CHAE * Assistant Controller * Bonnie Briar Country Club * USAJack Fritsche, CHAE * SVP - CFO * Donohoe Hospitality Services * USARobert Johnson, CHAE * Controller * Lionstone * USATucker Johnson, CHAE * Assist. Instructional Professor * Conrad N. Hilton College of Hotel & Restaurant Management * USAWhy Get Certified?Elevate your professionalism and demonstrate superior industry performance. Active certificants have reported higher salaries and various career advancement opportunities. Becoming certified indicates that you are committed to professionalism, continuing education and your chosen career path. HFTP offers the only designations for finance and technology professionals who are working in the hospitality industry. How HFTP Certification Can Advance Your Career>New Certification Advisory Program (CAP)HFTP is launching an inaugural program designed to assist CHAE and CHTP certification applicants in achieving their HFTP certification designation. The NEW Certification Advisory Program brings together both candidates and advisors, who will help and support candidates in one-to-one interactions, as a supplemental review option for the certification exams. 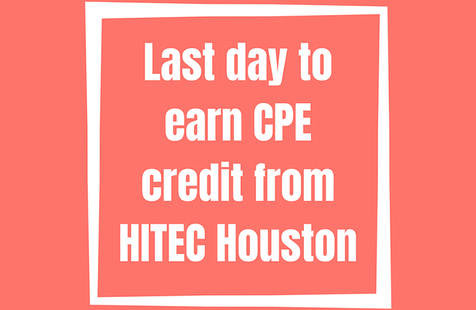 Learn More>About HFTP CertificationsHFTP administers the examination and awards the certification for the Certified Hospitality Accountant Executive (CHAE) and the Certified Hospitality Technology Professional (CHTP) designations. HFTP's certification programs are globally recognized for setting industry standards for hospitality finance and technology. Qualification for the exams is based on level of education and experience in the industry. Student programs are also available. Find out how to apply as well as exam information, study guides, check lists and much more by visiting HFTP's website at www.hftp.org (click "Career Development" at the top).Questions?For questions or more information on HFTP's certification programs, contact HFTP Certification Manager Robin Bogdon at robin.bogdon@hftp.org or +1 (512) 220-4021. Last week on July 27, HFTP hosted an IT work group interest meeting at the Hotel ICON in Hong Kong. Attendees were regional IT professionals and education experts from the hospitality industry who came together to discuss the latest industry trends and challenges. 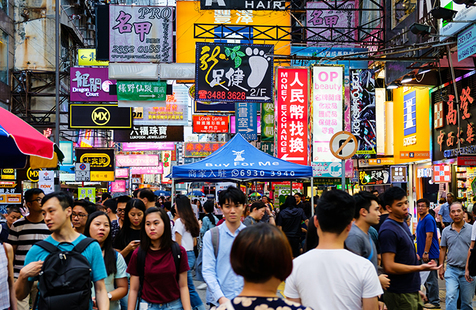 At the meeting was HFTP CEO Frank Wolfe, who led a discussion on the current state of hospitality in Hong Kong and raised the idea of chartering an HFTP IT professional chapter in Hong Kong. 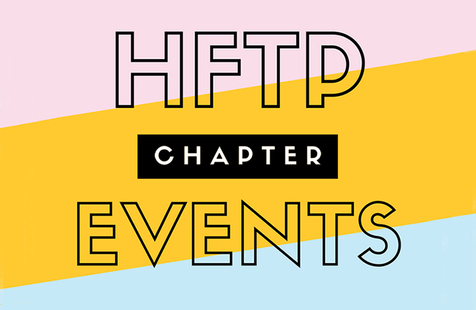 The chapter would give members the opportunity to better communicate and network with each other.HFTP has more than 76 chapters throughout the world, and attending chapter meetings allows members to connect with a local network of HFTP members and hospitality professionals. Chapters members meet to share solutions and consult with other professionals in the community. Tremendous educational opportunities are provided as well. The chapter plan was recognized and accepted by the audience; and a detailed charter plan will be discussed and implemented in the near future. Do you have a colleague who has made a lasting contribution to both HFTP and the hospitality industry? HFTP is accepting Paragon Award nominations until August 10, 2018.In 1999, HFTP established the annual, prestigious Paragon Award to recognize individuals who have made a significant and lasting contribution to both HFTP and the hospitality industry. Paragon Award nominees can be HFTP members; representatives of industry-related associations, societies, or trade publications; or leaders from hospitality businesses, educational institutions, and other related disciplines. A panel of industry experts selects the award winner who will be recognized at HFTP's Annual Convention in October.The nomination and selection process begins in the summer of each year. For more information on the Paragon Award, contact Eliza Selig at +1 (512) 249-5333 or (800) 646-4387.Click here for the nomination form. 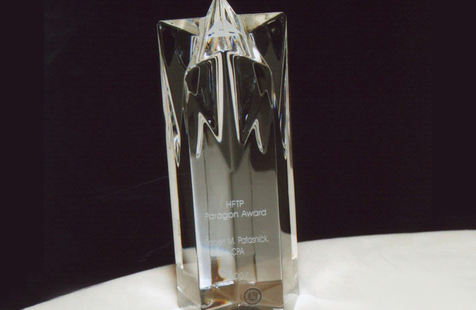 Click here to learn more about the HFTP Paragon Award.